Hey guys, I’m , I’ve been a P.E.K.K.A fan for a long time, P.E.K.K.A has been seeing some usage since its last buff so I thought it will be nice to write a guide on her. She is a major tank and has the second highest health in the game after Golem, yes P.E.K.K.A has more health than Giant by a little. She is the single troop with the highest DPS in the whole game. 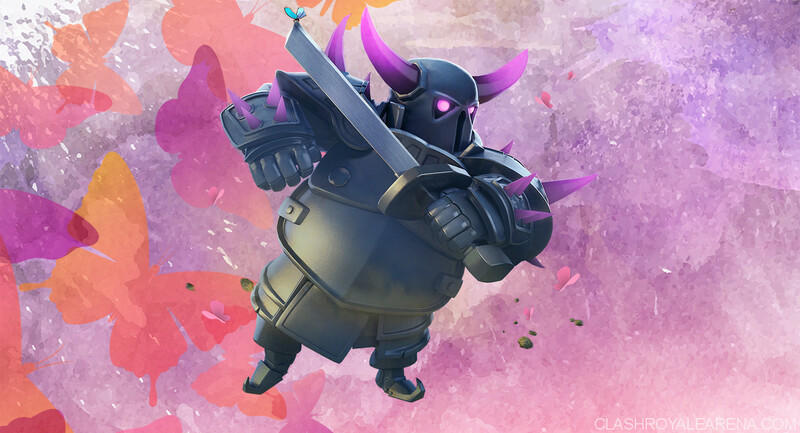 A P.E.K.K.A can be used in two major ways in a deck; as the main win condition or as the secondary win condition or rather MVP of a deck. In this way, P.E.K.K.A is used mainly on offense as a tank for your support troops. You use her as you would use a Giant, placing her at the back and placing support troops behind building your big mighty P.E.K.K.A push. While using P.E.K.K.A like this, you don’t depend on her for defense since you need her for your big push. 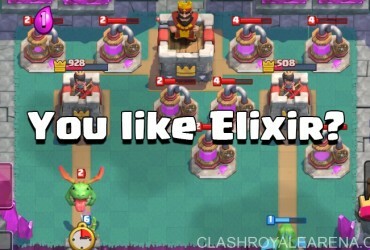 This form of using P.E.K.K.A was more effective when she deployed in 3 seconds since you would have one extra elixir for your push. I do think, it is better to use Giant or Golem if you need a card for this purpose in your deck because they are better at it. P.E.K.K.A is mainly used like this with 3 Musketeers where you can place her at the back and split 3 Musketeers behind her. The one second deploy time of P.E.K.K.A is very good because it really makes her very useful, now a P.E.K.K.A can be used as the main defense of a deck while still wrecking towers on offense. 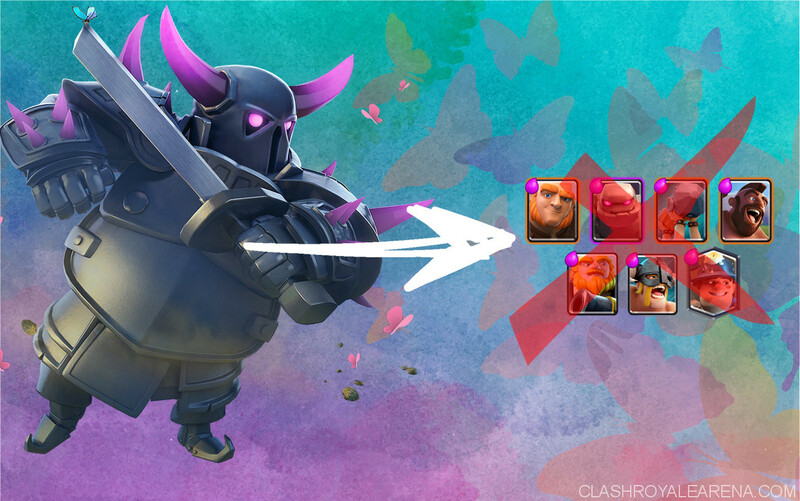 P.E.K.K.A can be used to counter Giant, Golem, Giant Skeleton, Royal Giant, Elite Barbarians, Battle Ram and even Hog Rider. While using a P.E.K.K.A defensively like this in your deck, you need a strong cheaper win condition like Hog Rider, Battle Ram, Miner, Balloon, Graveyard etc. You just have to use your P.E.K.K.A the same way you would use elite barbarians or mini P.E.K.K.A defensively then transform into a counter-push where she will function as a tank. Giant: If a Giant is placed at the back, deploy P.E.K.K.A at the back too on the same lane so they meet at the bridge and P.E.K.K.A kills the Giant before it reaches your Tower. If Giant is placed aggressively at the bridge, place P.E.K.K.A directly in front of it like two tiles from the bridge. Golem: Same with Giant but the Golem does get to the Tower because of its high HP especially if an Electro Wizard is stunning your P.E.K.K.A. Royal Giant: Same as Giant, it will only get like 3 or 4 shots. Elite Barbarians: Place P.E.K.K.A in the middle to pull them. Try to place P.E.K.K.A in a way that she will target the same one that your Tower is shooting at first, that way she will kill that one with one hit instead of two. Battle Ram: P.E.K.K.A in the way of the Battle Ram, some tiles from your Tower so she destroys the Ram fast and deals with the poor Barbarians. Hog Rider: P.E.K.K.A directly in front of your Tower, if they have Fire/Ice Spirit(s) behind Hog, place P.E.K.K.A one tile above your Tower so the AOE damage doesn’t splashes your Tower. Miner: P.E.K.K.A can be used to counter Miner but it’s not advisable because you’ll need Elixir for the other things that do come with Miner. You can do this for a lone Miner though just to start your P.E.K.K.A push from there. P.E.K.K.A is countered mainly by swarms because of her slow single damage hit, so you should include troops that do splash damage like Wizard, Executioner, Witch, Baby Dragon etc. or include about two AOE spells good for countering swarms like Arrows, Zap, The Log etc. to help clear the way for your P.E.K.K.A to reach your opponent’s Tower. Apart from AOE spells, Rage, Freeze and Tornado are also very good with P.E.K.K.A. Rage gives P.E.K.K.A what she lacks which is speed. Freezing a Tower when your low HP P.E.K.K.A gets to it can be risky but pays off because the P.E.K.K.A will surely destroy the Tower if your opponent can’t do anything. Do this when you’ve gotten your P.E.K.K.A past your opponent’s swarms and other defenses by then, your opponent might be low on Elixir and expecting the Tower to finish off the P.E.K.K.A, then surprise Freeze and Tower goes down. Tornado is also very good with P.E.K.K.A because it pulls all those ranged troops and kiting Ice Golems to your P.E.K.K.A for her to kill them. Ice Spirit works fine with P.E.K.K.A especially on ladder because its little damage brings the Barbarians which are usually at a higher level into the normal one P.E.K.K.A hit range when on offense, on defense your Tower will bring them to one hit range for your P.E.K.K.A. .E.K.K.A shines against these decks because they rely on slow tanks. Just put your P.E.K.K.A in the same lane as their push to destroy their push and counter-push with the remaining health of your P.E.K.K.A by sending in your main win condition like Balloon, Miner, Graveyard etc. If you couldn’t deploy your P.E.K.K.A early enough and your opponent already has their support behind the tanks, you can try to place your P.E.K.K.A in such a way to intercept the support like Electro Wizard, Musketeer, Executioner etc. to kill them first but the tank will reach your Tower because your P.E.K.K.A won’t catch up with her slow speed, this is more advisable against Golem because it has a lower DPS than Giant and its extremely high HP gives support troops enough time to damage your P.E.K.K.A a lot and they might even kill her. This makes more sense if you have Tornado because you can pull the Giant/Golem back. You can also use your P.E.K.K.A on the tank with her also distracting the support troop while using another troop like Mega Minion or Knight to kill the support troop. Don’t ever deploy your P.E.K.K.A unless your opponent deploys their tank first because if they dodge your P.E.K.K.A with their tank, you’re might find it hard defending against their push without your P.E.K.K.A. 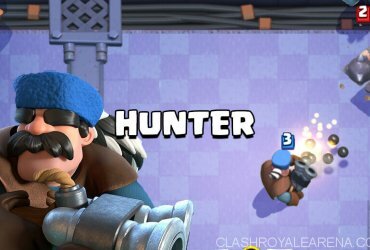 Against Hog Freeze, don’t use your P.E.K.K.A to counter Hog, use your second cheaper Hog counter so when it gets frozen, you would have enough Elixir to react with a third Hog counter or any other card which should also be cheap. Miner Control/Spell Bait: These decks are kind of tricky for P.E.K.K.A especially spell bait. Most times these decks have Miner, Bowler or Knight as the troop with the highest HP, so feel free to use your P.E.K.K.A to counter them or just start your P.E.K.K.A push from the back. These decks usually have Inferno Tower and that’s where it gets hard, you’ll need your main win condition like Balloon, Graveyard, Battle Ram etc. together with your P.E.K.K.A and sufficient splash damage to take care of swarms usually used to protect Inferno Tower and maybe Minions to distract the Inferno Tower or Electro Wizard to reset it. If you have Battle Ram, put it in front of your P.E.K.K.A so the Inferno Tower targets it while it charges at the Inferno Tower damaging it while still distracting and destroying it with the Barbarians clearing the way for your P.E.K.K.A. Lavaloon: This is the nemesis of most P.E.K.K.A decks mainly because your P.E.K.K.A which is your main defense can’t be used to defend and the Tombstone which is found in most Lava decks counters P.E.K.K.A very well. Against this deck, apply pressure on the opposite lane to force your opponent to spend Elixir hence weakening their Lava push, you can even go ahead and trade towers because if you try to defend the full push, your anti-air/ranged troops are going to get taken out by spells and you’ll still lose your Tower. When applying pressure on the opposite lane try to keep at least one or two of your anti-air troops to mitigate the damage received but don’t fully focus on defending the push. Also try to place your troops where your opponent can’t get a good Lightning/Fireball. If you can win Lavaloon with a P.E.K.K.A deck, you won’t have much problem with other decks. Siege: P.E.K.K.A can take care of X-Bow but watch out for swarms and Inferno Tower. Against Mortar, use something else to distract the Mortar. P.E.K.K.A is a very good card when used correctly but not easy to use, with the things I’ve explained in this guide, I’m sure it’s going to help you get better at using P.E.K.K.A. This is my first guide on Clash Royale Arena so feel free to tell me about anything I might be doing wrong in the comment section that you want me to improve on. Now go and get your P.E.K.K.A ready for the arena so she can smack those Barbarians, take care guys.